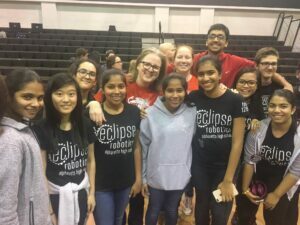 Shelby Hercules and Paula Kupersmith recently served as judges at the 2017-18 FIRST Tech Challenge Pali Proto League Robotic Tournament hosted by Eagle Robotics and held at Mount Paran Christian School. The FIRST Tech Challenge (FTC) is designed for high schoolers who want to compete head to head using a sports model. 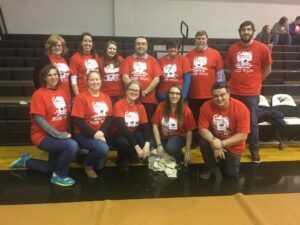 Teams of up to 10 students are responsible for designing, building, and programming their robots to compete on a 12×12’ field in an Alliance format against other teams. Teams are required to develop strategy and build robots based on sound engineering principles. Founded over 20 years ago, FIRST, which stands for “For Inspiration and Recognition of Science and Technology” is a not-for-profit organization devoted to helping young people discover and develop a passion for science, engineering, technology, and math. This was a wonderful opportunity for some of our NOVA team to serve in our community. Congratulations to the all the teams that participated.